Cuttings from the craftroom floor: My first Fairytale Friday, guest designing with Teddy Bo! 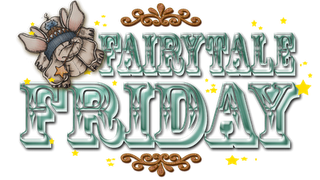 My first Fairytale Friday, guest designing with Teddy Bo! My prize was to be a guest designer with them for a month!! To say I was over joyed was an understatement! Heart shaped doily, pink ribbon and gems are from my stash. Well there we have it... How cute is she?!! Welcome to the Towers Trudie :0) and this is totally scrummy!